Kara-o-king is your one stop shop for almost everything entertainment in Miami. We offer the best karaoke or DJ experience possible! If you’ve ever been to a karaoke bar in Miami, chances are we were to blame for your great time! We have been proving high quality, professional DJ & Karaoke in Miami since 1998 and are the leaders in our market. We have always maintained high standards of professionalism and cutting edge technology to stay ahead of the pack. With so many years of experience under our belt, you won’t find a more qualified, professional or reliable company to ensure that your next special event turns out to be a huge success. We are not the guy next door with some DJ equipment, a karaoke machine and a few CD’s. Kara-o-king is a true full service karaoke provider bringing you the music selection, equipment and experience necessary to do the job right. 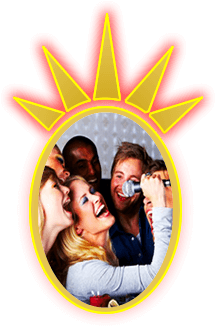 Kara-o-king provides top notch karaoke services to bring your special guests center stage for their 3 minutes of fame. 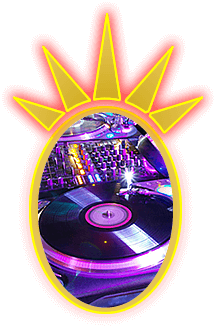 Our Karaoke Jockeys have the largest selection of karaoke in South Florida with about 150,000 karaoke tracks for you to choose from and we are always adding more so if you want it, chances are we have it! We will set the stage for an amazing party with the perfect mix of karaoke and music entertainment to keep your party going all night. At the heart of any event is the music entertainment and the ambiance it sets for your special guests. Kara-o-king is a leading provider of audio and visual entertainment employing only professional, personable, and reliable DJ’s. Our DJ’s are experienced and follow a strict adherence to customer service excellence. In addition to setting the perfect ambiance for guest reception, our DJ’s also set the tone and build the energy level throughout the event festivities. With music selections containing the hottest hits from all decades and genres, your event will be geared for success! In addition to the sounds, some of our entertainers are music video disc jockeys and fully equipped to provide a next level experience that brings a new wave of disc jockey performance to your event. Your event music program now adds the visual entertainment dimension featuring the hottest music videos that will certainly “Awe” your guests. 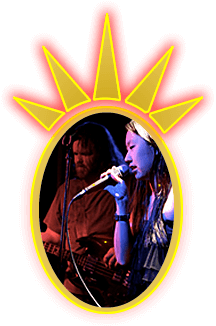 Take your karaoke experience to a whole new level with Live Band Karaoke! Now you can sing with a real rock band at your back providing back up vocals, pounding drums, thrashing guitar solos, a thumping bass guitar and of course… you as the lead singer. Just choose from any of our Live Band Karaoke Menu songs and hit the stage to be transformed into a real live rock star! We offer all genre’s of music including rock, country, oldies, funk, metal, and even some rap. 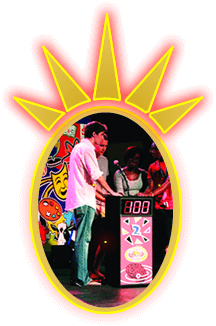 Our game show trivia systems are great for teaching, fundraising and all around good times! Our game show trivia systems operate with wireless buzzers just like the ones used on TV game shows and with our lockout feature, you’ll never have to guess who buzzed in first. Like any TV game show, players wildly press their buzzer to be the first to answer questions. The first player always locks out the other players. This means it’s not just about smarts, it’s also about speed. We put your guests into a real TV game show experience with real buzzers, real sound effects and real game boards projected on your TV.